According to the white paper, China aims to promote peace and security in the Arctic, while conforming to the international rules of the game – above all the UN Convention on Law of the Seas. However, there is no doubt that China has genuine interests in the region. The Arctic policy, issued by the State Council Information Office, covers a range of issues including exploration of oil and gas, conservation and utilization of fisheries, and the ‘Silk Road on Ice’ – a cooperation initiative of China intended to further develop Arctic shipping routes, as part of the far-flung Belt and Road Initiative. -Indeed, the white paper is a comprehensive document, reflecting a solid understanding of Arctic issues. Although it lacks a clear time frame and distribution of responsibilities, it enhances the impression of China as a global actor, notes FNI researcher Arild Moe. Still, according to FNI researcher Gørild Heggelund, among all issues covered in the Chinese policy white paper, environmental protection and climate change stand out, and forms the backdrop for China’s engagement in the Arctic. -China’s vulnerability to climatic changes and subsequent social impact and economic losses has brought to the fore the rapid climatic changes in the Arctic and their impact on China’s climate, Heggelund explains. 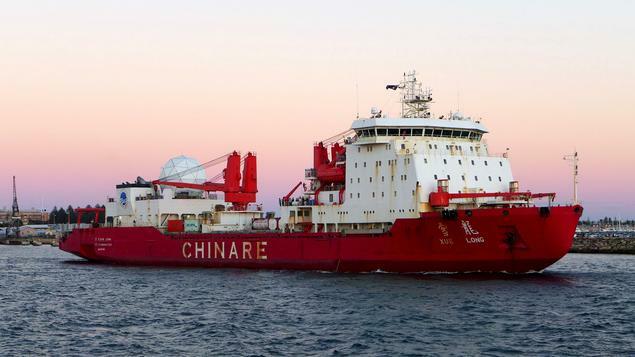 Generally, the white paper illustrates a continuation of earlier Chinese priorities in the Arctic – for instance by calling for more scientific research, which may be seen as an argument and legitimization for a growing Chinese presence and participation in Arctic affairs. -The policy document – sometimes referred to as an Arctic Strategy – has been expected for a long time. It does not contain fundamentally new positions or priorities, but attempts to draw a more coherent picture of Chinese interest in the region, balancing respect for the sovereignty of Arctic states and international law and institutions on the one hand with a clear underlining of what is seen as China’s rights on the other, concludes Moe.